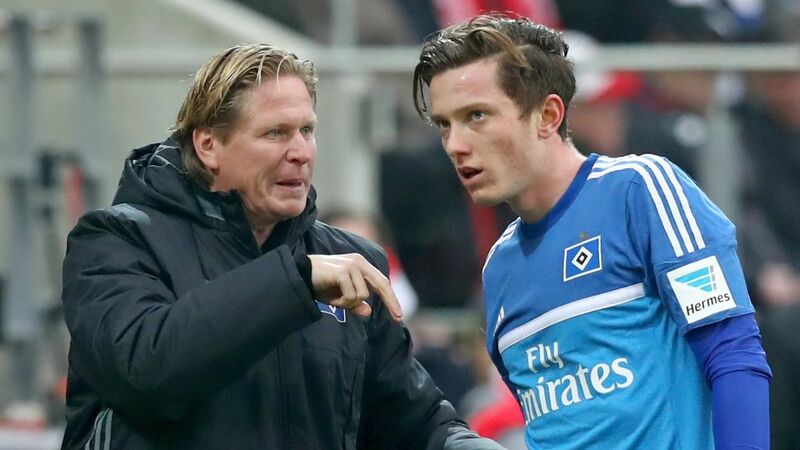 On the question of targets for the remainder of the 2016/17 campaign, a period of all-inclusive stability from pitch to boardroom via the terraces would do Hamburger SV just fine. In Heribert Bruchhagen the club have a new chairman and in Markus Gisdol, a relatively new coach looking to be gradually in the process of steering them clear of the latest patch of heavy turbulence to engulf the Bundesliga's only ever-present member. Three wins in the last four games of the year lifted Hamburg from rock-bottom up to the relegation play-off place and within three points of safety. That, together with the executive-level overhaul, makes for a reasonably promising platform from which to launch into the new year. Bruchhagen took office a couple of days before Christmas and explicated for starters that, "We can't be satisfied with our current place in the table. That's why I was brought in – not to make wholesale changes in every department." His immediate priorities are to sign up a new sporting director and a few fresh faces for the squad. Referencing the management's penchant in recent years for making the wrong kind of headlines, Bruchhagen was also at pains to stress, "We know we're in a situation where there's no room for sideshows born of vanity or whatever else." Instead, the former long-time Eintracht Frankfurt boss added, "We have to do everything in our power to maintain a low profile and keep the focus on the work of the team." Mooted as a candidate to stay on in the latter capacity, he subsequently announced that after giving the matter "considerable thought,” he would be leaving the club at the year's end "with a very heavy heart" – also citing the need for his successors to operate in an environment of optimal clarity and tranquility. For Hamburg, that might amount to the biggest change of all.